The best way to find out about CORE Net's features is via an online demonstration. If you are a service manager or commissioner and you are interested in learning more about CORE Net contact us to arrange a demonstration. • Wide Choice of Outcome Measures There are now over 30 measures that CORE Net can support, including sector and diagnosis specific measures. New measures are being added all the time. 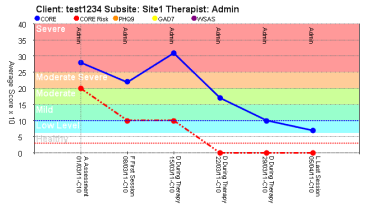 • Summary Charts Provide instant visual summaries of a client's progress, displayed alongside clinical cut-offs to help therapists assess severity levels. Clients, therapists and supervisors can all see and comment on the progress of therapy. • Remote Measure Completion Outcome data can be collected by the client inputting directly onto the system side-by-side with the therapist, prior to the session in waiting room, or the client can be emailed an invitation, prior to attending the session, to complete their outcome measures on-line on a secure site. • Case Notes Keep all clinical or contact notes in a single record. • Critical Notes Highlight critical Case Notes to ensure colleagues are aware of an important instructions or information about the client. • Flags Simplify case management, by identifying clients records that require attention, for routine case management, care pathway monitoring or administrative house keeping. There is an ever expanding range of flags available and services can request their own tailor made flags. • Risk Management Use the built in Risk Flag to support and document your existing risk management protocols. • Data Quality Choose the data items most important to your service and CORE Net can provide users with immediate visual feedback to help keep on top of required data completion. • Attachments Users can attach documents from their computer to a clients file. This means all documents can be scanned and attached. • Reports There are a huge range of reports available for services. 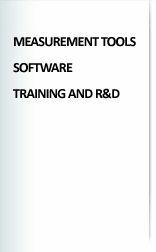 From the IAPT Omnibus requirements to the powerful reporting functionality of familiar to users of CORE PC. For service with very specific needs we can also build bespoke reports. All reports are exportable to Excel or into a PDF format. • Client Letters Generate letters combining dynamic templates and free text user input. • Addresses/Contact Details Optionally collect client registration and contact information. • Client acceptability question Optionally collect feedback from your clients about the measures you ask them to complete. • Workplace and FE/HE Optionally use CORE's dedicated sector specific 'spokes', including the widely adopted Workplace and Further and Higher Education 'spokes'. If you'd like to receive more information on CORE Net contact us and we will be happy to help you.